A. 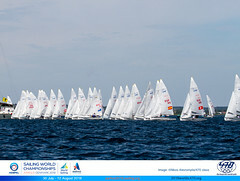 470 Championship Clinics & coaching during the Junior’ s events. 470 Int. 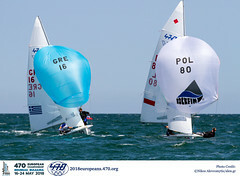 class will organize a clinic prior to Junior European championships up to 25 boats and free coaching and support for selected teams (up to 6 boats) during the event. 470 Int. 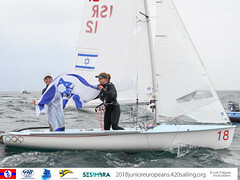 class will organize a clinic prior to Junior World championships up to 25 boats and free coaching and support for selected teams (up to 6 boats) during the event. 470 Class will run at least three major winter clinic series around the world. 470 Boats will be provided free of charge or emerging nations. B.1. Athens (October ’18 - March ‘19) Exact dates will be announced. Various different clinic periods, possibility to store boats and ribs free of charge. B.2. Barcelona (October ’18 – March ‘19) Exact dates will be announced. B.3. San Remo (October ’18 – March ‘19) Exact dates will be announced. C.1. Pre-National championship Clinics and coaching upon NCA’s request. Let us know if you are interesting 470 Int. class to run a 470 clinic & seminal by renowned 470 coaches prior to your national events. (10 boats min participation). Team coaching during the event might be possible free of charge. C.2. National 470 clinic and seminars for athletes and coaches upon NCA’s request. Let us know if you are interesting to run a 470 clinic & seminal by renowned 470 coaches in your country during the training period.